Banshee Sports: Congratulations, Justin Combs! 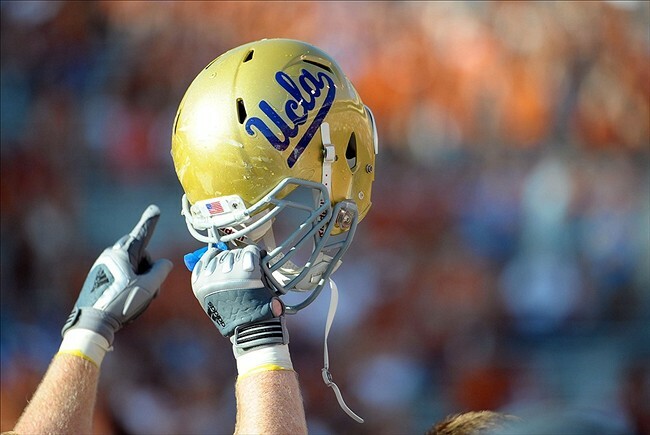 Back in November, Justin Combs announced that he would be playing his college football at UCLA. 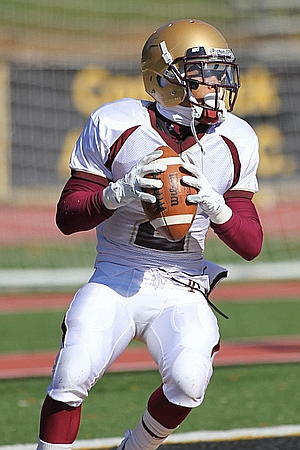 Justin Combs is a 5'9", 175 pound defensive back from Iona Prep in New Rochelle, NY. Combs also played some quarterback during his team's high school playoff run, and he graduated with a 3.75 GPA. Even though UCLA's coaching situation was in flux at the time, Combs chose UCLA over Iowa, Illinois, Virginia and West Virginia. As usual, Combs will be receiving a full scholarship from UCLA, and he recently headed out to LA to join the team for the summer. The only thing that is unusual about this story is that Justin Combs has a famous father ... Sean Combs ... aka P. Diddy ... aka Puff Daddy. Unless you are an avid UCLA Bruins fan or log on to Scout.com five times a day, Combs' recruitment process was not much of a story for most of this year. All that changed last week when CNN raised the subject on their website. In a passive aggressive column, CNN stated that "some" thought it was unseemly that the son of a wealthy hip-hop mogul would be given a $54,000 scholarship. The article suggested that "some" thought that young Combs should feel some moral and social obligation that would cause him to turn down the scholarship. Then talking heads and the sports blogosphere filled up with Justin Combs chatter. After taking a few days to collect my thoughts, Wild Banshee will now join the Combs cacophony. And be forewarned ... this may turn into a rant. Justin Combs should be congratulated. Period. There should be no controversy ... unless you're a Bruins' alumn who thinks that 5'9 is too small to play cornerback in the Pac 12. If people (read CNN and you, too, Bill O'Reilly) want to debate whether athletic scholarships should exist at all at state schools, then that is a whole separate topic. But the idea that Justin Combs should not be treated like the rest of his teammates simply because his family is wealthy is absurd. First of all, criticism of UCLA for offering Combs a scholarship shows a total lack of understanding of how college football works. The scholarship process is the means by which a university shows their commitment to a player. College football players give up a lot of rights (transfer freedom, summer job freedoms, etc.). Division 1 college football programs are limited to giving out 85 scholarships. When a school offers one of those precious 85 slots to a player, that demonstrates that the team is serious about its intention to develop the player and use his talents on the field. If UCLA had refused to offer Combs one of it's allotted scholarships, it's quite likely he would have chosen to play at another institution. This would not have resulted in Combs paying for school. This would simply have resulted in Combs receiving a free education in Iowa City, Iowa or Morgantown, WV. Secondly, Justin Combs is not the first person from a wealthy family to earn an athletic scholarship at a state university. Tyler Hansbrough is just the first name that came to my mind. Tyler Hansbrough's father was a surgeon in Missouri. Surely the Hansbrough family could have afforded college. Should North Carolina have told Tyler that he should have been a walk-on? If so, where does one draw the wealth line? Should the standard be that any family who could have scraped together the funds to send Johnny to college be denied a scholarship? And should that hypothetical family be made to feel guilty about accepting a scholarship? A third point that I cannot ignore is that athletic scholarships do not come out of the same fund that need based scholarships come from. Make no mistake about it, if Justin Combs had not gotten that football scholarship, it was not going to a hungry young girl from the barrio. That football scholarship was going to go to some other well-fed athlete that can run the forty yard dash in less than 4.5 seconds. Okay, I'm done with this rant. I just want to conclude by wishing Mr. Combs the best of luck in his future on and off the field. And I want to tell all the critics out there to look hard in the mirror and see if there isn't a bit of envy coloring their views. 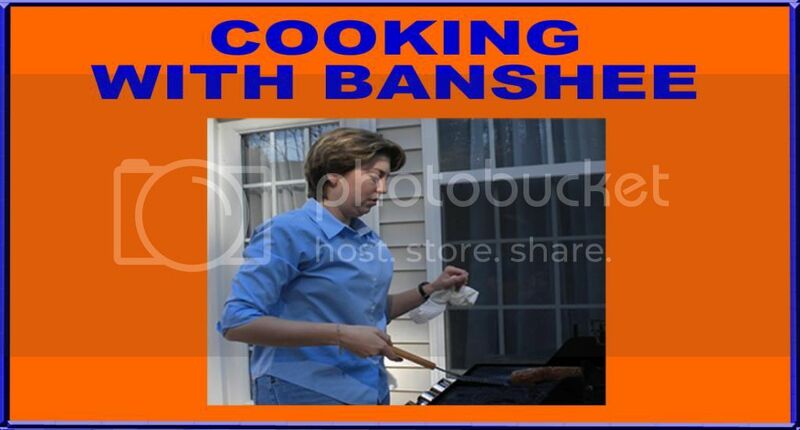 Check out Banshee Blog on FB. "Like" it if you like it.